Cynthia E. Roberts joined the Fairmount Park Conservancy in September 2017 as the organization’s first Chief Financial Officer (CFO). Cynthia brings over 15+ years of business experience in non-profit accounting and reporting, finance, strategic planning and operations. In her role as CFO, Cynthia manages the overall financial and organizational operations of the Conservancy, ensuring compliance of required regulations, as well as the utilization of industry standards and best practices in accordance with generally accepted accounting principles. Prior to joining the Conservancy, Cynthia worked for the Children’s Literacy Initiative (CLI) as the Director of Finance where she oversaw CLI’s finances and facilities management for its Philadelphia headquarter office as well as 5 remote locations throughout the country. As Director of Finance, Cynthia was very instrumental in helping CLI secure a 5-year $22M Investing In Innovation (i3) Scale-Up grant from the U.S. Department of Education where she led all aspects of budget preparation, management and execution. Prior to her employment at CLI, Cynthia also worked as the Controller for The Philadelphia Foundation where she was responsible for the management and stewardship of over $300M in assets. Cynthia holds a bachelor’s degree in Accounting from the University of Delaware and a master’s degree in business administration from Holy Family University. In addition to her work at the Conservancy, Cynthia is very active in her church and sorority, Delta Sigma Theta. 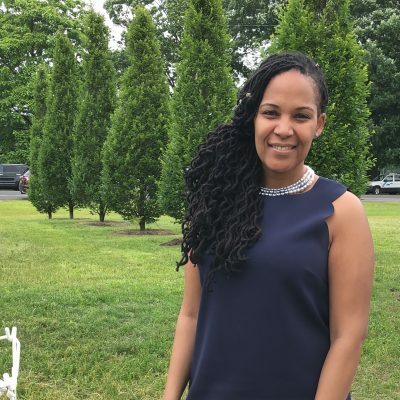 Besides her non-profit work and civic involvement, Cynthia enjoys traveling abroad, spending time with family at Smith Playground and has an appreciation for the arts.